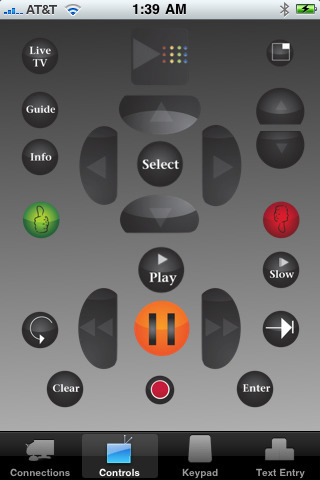 The RemoteT iPhone app by Doug Turner lets you control your Tivo Series 3, HD, or HD XL with your iPhone. RemoteT is the original remote control for the TiVo DVR. This application allows you to control your TiVo HD, TiVo® HD XL, or TiVo® Series 3. Features auto discovery of Tivo’s on your network, fast text input, and all other useful features of your existing remote control. You need to have a TiVo HD, TiVo HD XL, or TiVo Series 3. The DVR and the iPhone or iPod Touch must both be connected to your home’s network. If you have a jailbroken iPhone and have SSH installed, you can actually just do this all yourself. Check out the video below for more details. AppSafari review of RemoteT Tivo Remote was written by Joe Seifi on January 15th, 2009 and categorized under App Store, Remote, TV, Utilities. Page viewed 6272 times, 1 so far today. Need help on using these apps? Please read the Help Page. really cool app thanks for sharing.